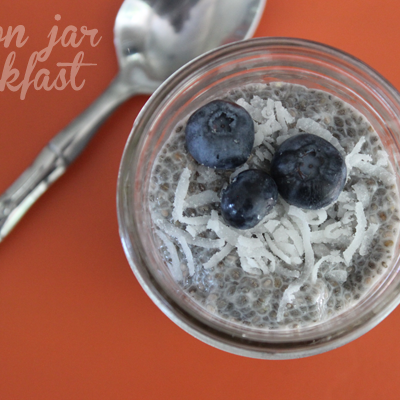 I’m back at it, after being featured on both Shape Magazine & Buzzfeed, I’m super excited that people are digging the mason jar breakfast thing! 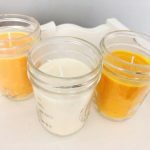 Today I want to show you a super simple recipe using only a few ingredients! 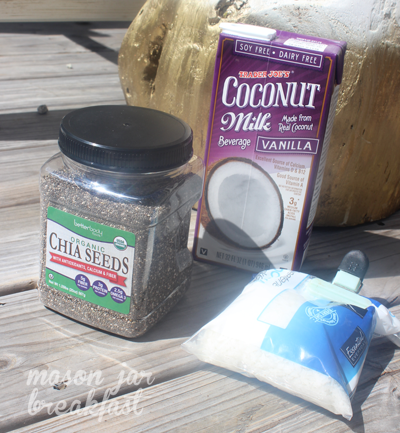 First of all, if you have not found the wonder of chia seeds yet, then read this and then run to your local grocery store, and grab some..they are a superfood and since we are all about healthy eating and superfoods, we needed to find a way to put chia seeds into our mason jar breakfast routine. 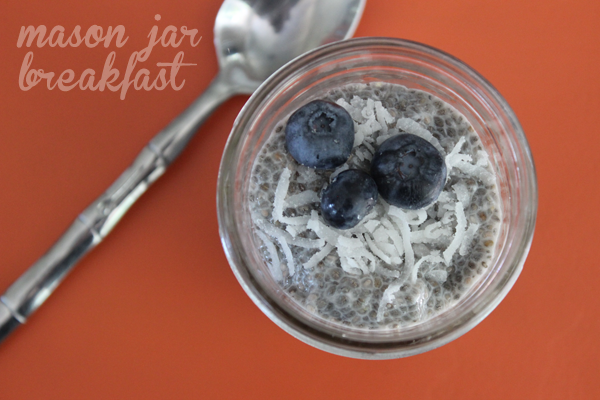 Coconut & Blueberry Chia Seed Pudding in a Mason Jar! 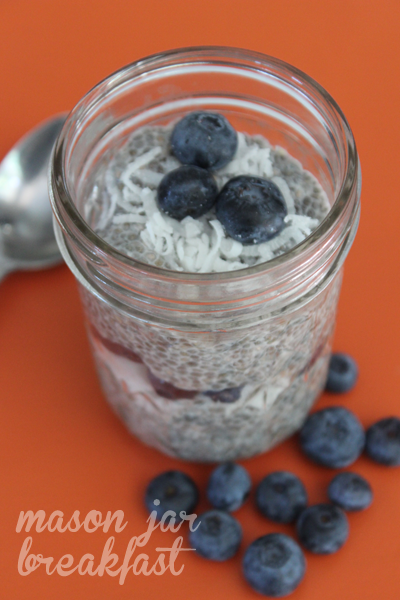 Top with coconut shreds and blueberries.